Kate Biagi-Rickert joined our team in 2017 as the Director of Stewardship. Kate brings with her knowledge of Louisville’s philanthropic community as she was featured on the cover of NFocus Magazine in 2015 as one of the New Faces in Philanthropy and served as last year’s chair of National Philanthropy Day. 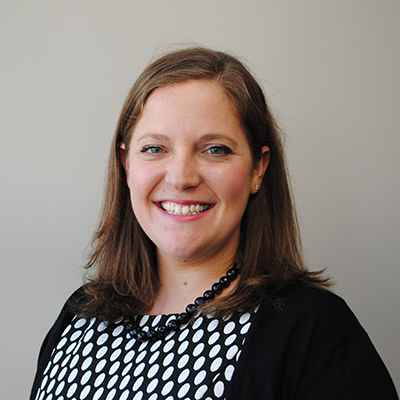 Additionally, Kate serves on the Executive Board of the Association of Fundraising Professionals. Her most recent work experience has been at St. Joseph Children’s Home and Kosair Charities in the areas of development, community outreach and stewardship. She enjoys interacting with donors and making them feel wonderful. She has devoted her career to making Louisville an even better place to live and work. Kate obtained a Bachelor of Science Degree in Business Administration and Social Work from St. Louis University. She also has a Master of Science in Social Work with an Emphasis in Nonprofit Administration from Columbia University.